The Tahiti Large Square Outdoor Umbrella with Round Stone Base is a contemporary outdoor umbrella perfect for Hong Kong outdoor spaces. Outdoor umbrellas are an excellent way to shield from sun and rain, and are suitable for both rooftops and terraces. Whether you are hosting guests on your rooftop for an outdoor party or looking to create a tranquil outdoor environment in the sky alongside the Hong Kong hustle & bustle, an outdoor umbrella is great for any outdoor occasion. 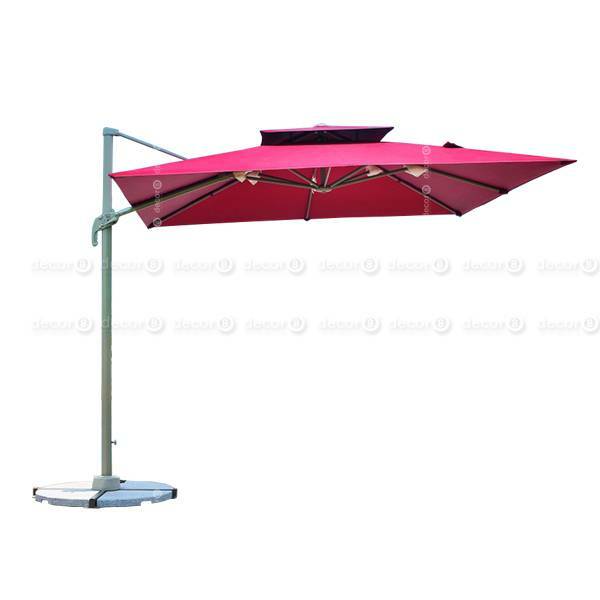 This modern design square outdoor umbrella is perfect for contemporary rooftops, terraces and balconies. 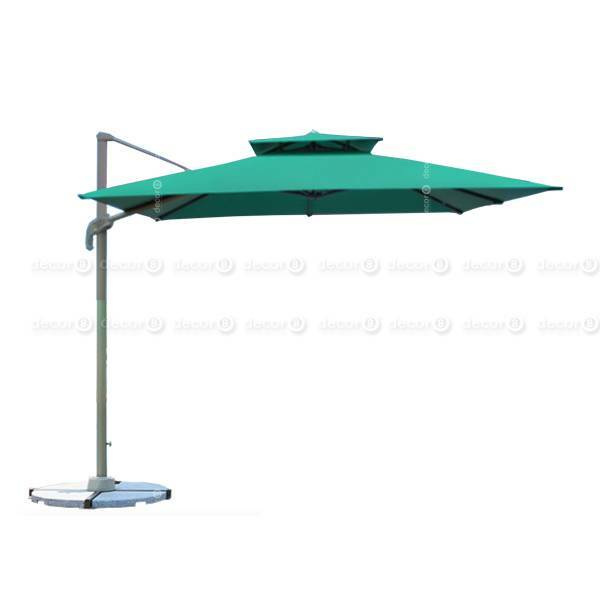 This stylish square outdoor umbrella is available in green, red and beige. Easy to assemble and operate, and comes in a classy round stone base for stability. Available in two sizes.